A grand opening is the perfect opportunity for you to introduce your endeavor to your future prospects and leave a lasting impression on them. A memorable ribbon cutting is served well by quality products that project an aura of elegance and professionalism to complement your business. 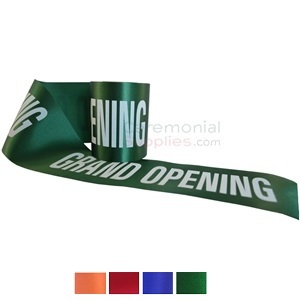 Quality ribbon is a small investment that adds a pleasant touch to your event's decor. 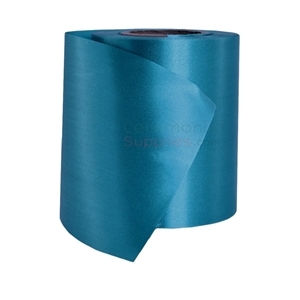 This wide ribbon is available in two distinct widths and lengths, chiefly 4 or 6 inch width and 25 or 50 yard length--given you should require extra material to perform multiple ceremonies or wish to have left over to further decorate the chosen location. 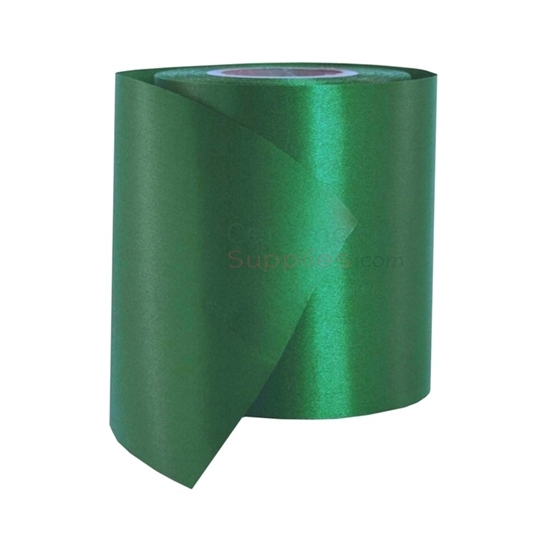 The ribbon is available in a soothing green color. Scissors needed for the cutting ceremony can be purchased separately from CeremonialSupplies.com.